British Royal Navy officers metal sword with belt and scabbard. 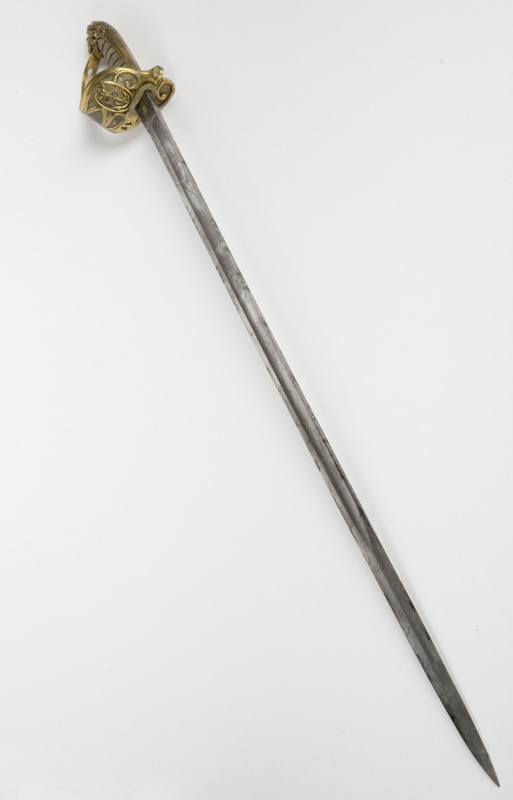 Royal Navy officers sword, owned by Captain Hamilton and used during Waikato campaigns and Battle of Gate Pa. This type of gold plated sword was first made in 1827 and has continued to be used by British and Commenwealth Navy's up to today.